A collection of antique game boards line the walls and a checked wingback chair echoes their pattern. Be lulled to sleep as the waves lap the shore ensconced in the king canopied four-poster bed or while lazing in your hammock. 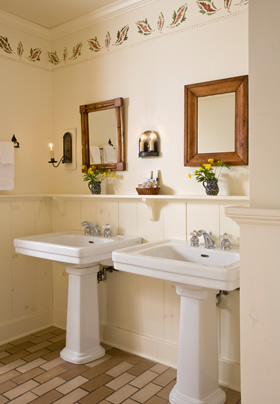 Twin pedestal sinks supply ample elbow room in the bath.